Hannah J. Denbow was born on 14 August 1860 at Washington, Ohio, USA.1 As of 1880,her married name was Knodle. She married E. A. Knodle in 1880; An interesting name. Hannah J. Denbow died in 1937 at Rosamond, Christian, Illinois, USA. Hannah Jane Denbow was born in 1846 at Monroe, Ohio, USA. She appeared on the census of 9 July 1860 at Summit Twp., Monroe, Ohio, USA, as daughter.2 She married Issac Scott in 1866 at Monroe, Ohio, USA. Her married name was Scott. Hannah Jane Denbow married Joseph Paith in 1870 at Monroe, Ohio, USA. Her married name was Paith. Harold Denbow was born in 1906. Harriet Denbow married Vincent Dillon, son of Hamilton Dillon and Elizabeth Denbow, in 1867 at Monroe, Ohio, USA. Her married name was Dillon. Harriet Charlotte Denbow was born on 30 July 1871 at Lewisville, Monroe, Ohio, USA. She was born on 31 July 1871 at Monroe, Ohio, USA.1 She married Thomas Leisure in 1890. Her married name was Leisure. [S22] Various entry, Birth Certificates Varied (Varied). Harry Denbow was born in 1903. Harry M. Denbow was born in 1878. He died in 1968. Harry Wilbur Denbow was born in 1909 at Fultonham, Muskingum, Ohio, USA.1 He died in 1981 at Ashland, Ashland, Ohio, USA. Harvey Jesse Denbow was born on 17 May 1861. He married (?) Viola on 21 June 1883. Harvey Jesse Denbow died on 21 February 1938 at age 76. Hattie Denbow was born in 1906 at Navarro, Texas, USA. Hazel Denbow was born on 29 July 1902 at Pana, Christian, Illinois, USA. She married Guy Tarvin in 1922; Divorced: after __ ___ 1922. Her married name was Tarvin. Hazel Irene Denbow was born in 1919.1 Her married name was Eudy. She died in October 1994; Cancer Center,Texas,USA. Henrietta Seleta Denbow was born on 13 March 1901 at Roane, Navarro, Texas, USA. She Reference: Knowledge of Henrietta's daughters. She was also known as Henrietta Seleta Burdine. She died on 10 June 1948 at Little Rock, Pulaski, Arkansas, USA, at age 47. She was buried at Little Rock, Pulaski, Arkansas, USA. Henry P. Denbow was born on 20 December 1857 at Washington, Ohio, USA.1 He married Minnie W in 1882. Henry P. Denbow died in 1943 at Flora, Christian, Illinois, USA. He was buried in 1943 at Rosamond, Christian, Illinois, USA. Herman Denbow was born in 1906. 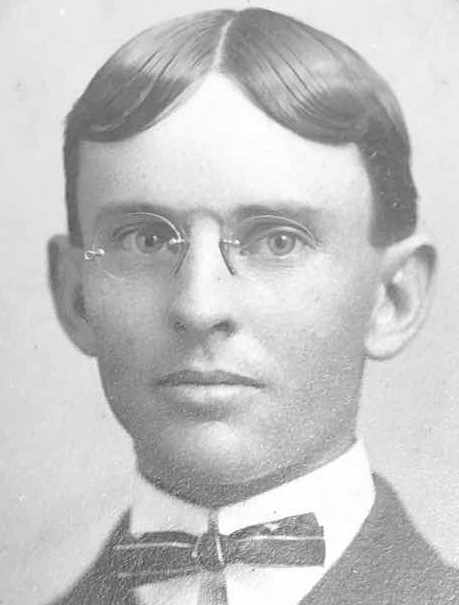 Hiram Earl Denbow was born in 1860. He married Nancy Harris on 23 April 1885 at Diehlstadt, Scott, Missouri, USA. Hiram Earl Denbow Reference: Excerpts of Letter from Ruth Denbow Bilderback toFlorence Waters Denbow would seem to place this individual in thisfamily group. Howard Harper Denbow was born on 8 February 1912 at Roane, Navarro, Texas, USA. He died on 17 September 1969 at Corsicana, Navarro, Texas, USA, at age 57. He was buried at Corsicana, Navarro, Texas, USA. Irvin Denbow was born on 5 February 1912 at Lewisville, Monroe, Ohio, USA. He died on 2 December 1993 at Marietta, Washington, Ohio, USA, at age 81. Issac Stanton Denbow was born on 16 September 1879 at Lewisville, Monroe, Ohio, USA. He married Minnie Vera Hoover on 26 June 1906 at Ohio, USA. Issac Stanton Denbow Superintendent of EUB Sunday School in Ashland, Ohio. He died on 3 November 1915 at Ashland, Ashland, Ohio, USA, at age 36; Died at age 36 when he '"fell from hay mow." Iva Denbow was born on 13 April 1893 at Pana, Christian, Illinois, USA. She married George Leroy Todd in 1913. Her married name was Todd. Iva Denbow died on 6 September 1976 at Pana, Christian, Illinois, USA, at age 83. She was buried on 9 September 1976 at Pana, Christian, Illinois, USA. J. W. Denbow married Mary Etta Gray on 7 April 1895. Jackson Denbow was born on 8 August 1834. He Twin of George Washington DENBOW. James Denbow was born on 20 April 1824 at Harford, Maryland, USA; Several sources list his birth year as 1823; the official GravesRecord from the Adjutant General's office says 1827, which is mostassuredly wrong. [S104] James Denbow, pension file, 278520, widow; 410400, minor. James Denbow was born in 1900. James Denbow was born in 1833 at Indiana, USA.1 He died on 3 March 1863. James Denbow was born in August 1902 at Navarro, Texas, USA. He died on 4 September 1907 at Navarro, Texas, USA, at age 5. He was buried at Chatfield, Navarro, Texas, USA. James Denbow was born on 11 January 1920 at New Madrid, Missouri, USA. He Reference: Data from his son, Gary A. Denbow. He died on 5 April 1970 at age 50.